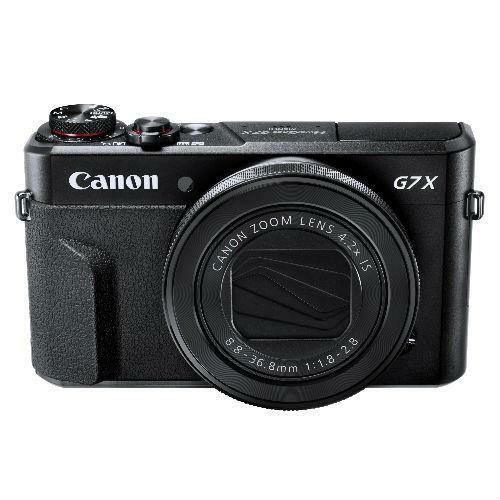 The Canon G7 X Mark II offers DSLR-like image quality in a tough, compact body, aimed at people looking for a good balance between performance and portability. 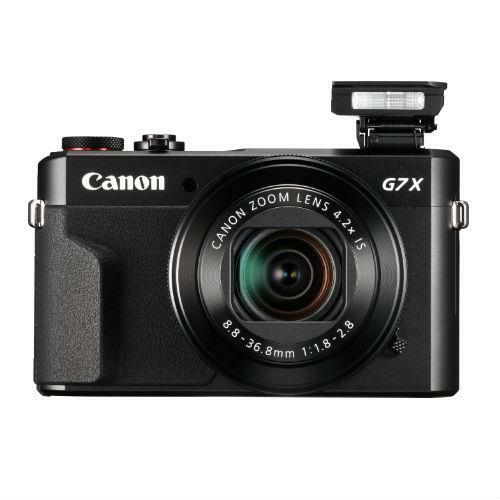 One of the most popular compact cameras in the Canon lineup, the G7 X Mark II is highly versatile. Offering a 20.1-megapixel back-illuminated 1-inch CMOS sensor with powerful Canon DIGIC 7 image processing, intelligent optical image stabilisation and full manual controls. The G7X Mark II will help you capture stunning images at up to 8fps in JPEG or RAW, which rival the quality of a larger DSLR camera. The G7X II features a bright 24mm f/1.8-2.8 lens with 4.2x optical zoom, allowing photographers to get closer to subjects and produce images with attractive out-of-focus backgrounds, even in lowlight. The high resolution of the camera’s sensor means that you will be able to capture images that look good whether printed or displayed large on smart devices such as laptops, tablets and 4K TVs. While its DIGIC 7 processor offers detailed images with natural colours. Thanks to the camera’s dynamic 4-stop anti-shake technology and impressive ISO sensitivity range of up to ISO 12,800, users should be able to capture sharp images with reduced image noise and blurriness handheld, even in low light. As well as Smart Auto, which can detect up to 58 different scenes, the G7X II offers a range of features to help you get more out of your images in-camera. However, if you want the camera to take full control of the settings, you just have to point and shoot, using Hybrid Auto mode. In this mode the camera will intelligently choose the best settings for you and it can also create a video summary including highlights from your day. 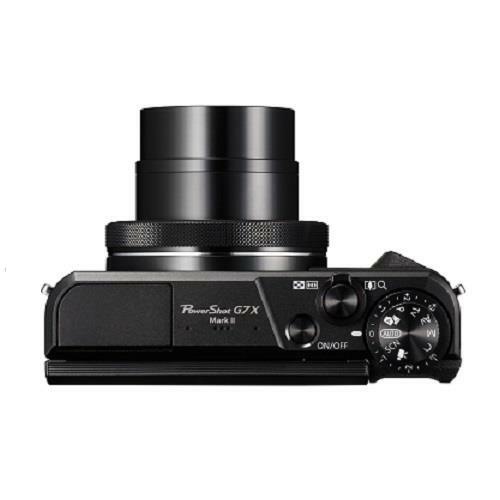 For more experienced photographers, the G7X II offers access to full manual settings and even features a physical control ring around the lens which can be assigned different functions, such as zoom or exposure compensation for example. 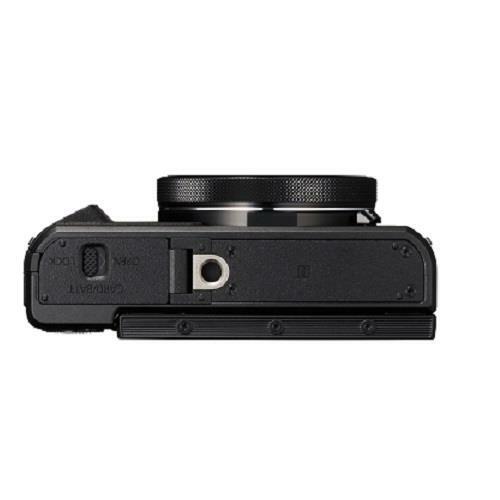 The rear of the camera houses its 3-inch 1040k-dot touchscreen LCD, which provides a crisp and clear representation of the scene while you’re composing your shots. It also offers tap-to-focus functionality and can be tilted 180 degrees to face forwards, ideal for group photos, selfies and video blogging. This type of camera is particularly popular for travel, vlogging and for people looking for a better alternative to using a smartphone as a backup. 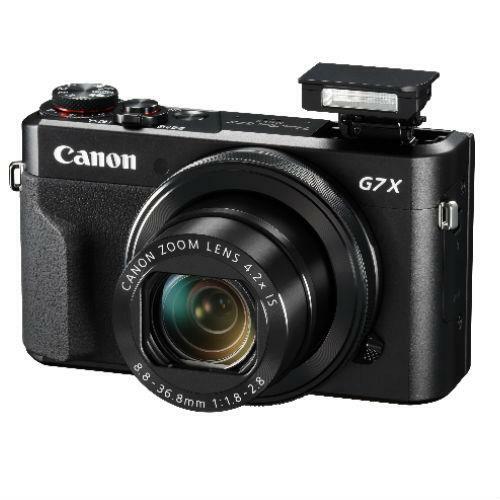 The metal construction and ergonomic grip of the G7X II make it a camera that owners can use comfortably and with confidence wherever they go. 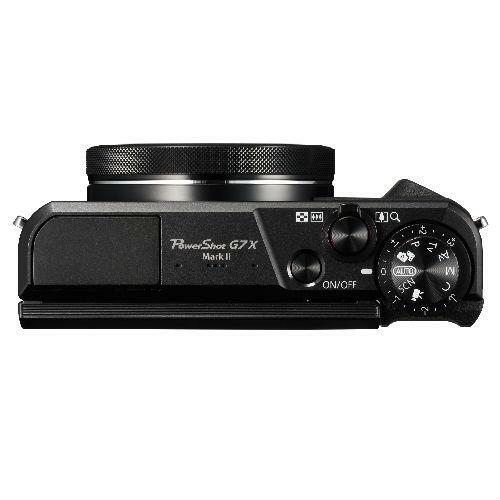 Having such impressive quality and control in a camera that fits into coat and small bag pockets is highly convenient. 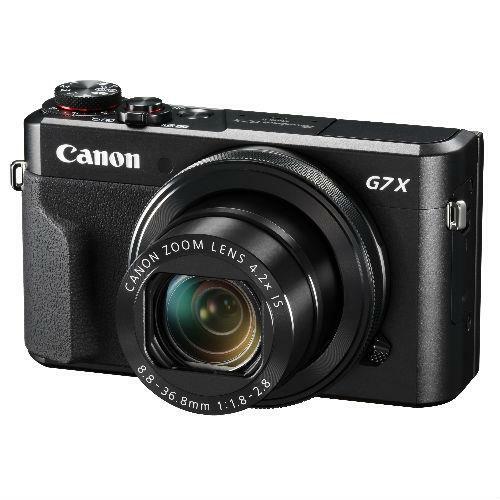 The Canon G7 X Mark II records beautifully clear 1080/60p Full HD video footage, great for documenting travels and key life moments. Additionally, users can find useful hints and photography tips, through the Canon Photo Companion app. 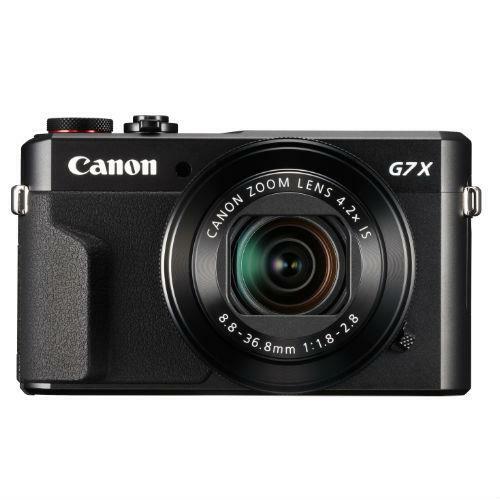 Canon G7 X Mark II owners can also connect their cameras to Android and Apple iOS smart devices using Wi-Fi and NFC via the camera’s dedicated Wi-Fi button, for seamless photo sharing and wireless camera control. This means you can easily share your photos on-the-go via email, as well as, messenger and social media apps.